NZL SWIM has a wealth of coaching experience to draw from within it's senior coaching team. From young swimmers just starting out through to Olympic level competition, the coaching team have the perfect combination of technical expertise and practical know-how to oprimise the performance of every swimmer. David Lyles has been an International swim coach for Great Britain, China and New Zealand and has a wealth of experience coaching club and age group swimmers through to senior and International athletes. He has been a Head Coach at club, University and National training centre level as well as being Head Coach to a professional provincial team in China. After starting coaching whilst still at University, David took his first coaching job in 1989 and in 1992, qualified his first swimmer on an Olympic team – a feat he repeated at 6 consecutive Olympics between 1992 – 2012. Having started at club level, David was given the opportunity to help set up and develop a new scheme at the University of Bath in South West England in 1997. With a brand new facility and the ability to attract top swimmers, it was not long before the centre was home to the first British Swimming National training centre. After coaching 20 International swimmers and producing finalists at both the Sydney and Athens Olympics, a unique opportunity arose to coach in China. Working for the Shanghai sports bureau, David was selected to lead the Shanghai provincial team in 2007, a move that saw Shanghai named as top team at the Chinese National Championships every year from 2008-2012. Success came quickly, and aside from his team duties, Coach Lyles achieved a 100% success record, with all 9 of his swimmers gaining selection for either World or Olympic teams between 2010 -2012. With 7 swimmers coached onto the China team for the home World Championships in Shanghai 2011 and 5 swimmers selected for the 2012 London Olympics, David Lyles was a constant member of one of the worlds’ biggest and strongest swim teams. With 7 medals from 5 different swimmers at World Championships (2010 + 2011) and Olympic Games it seemed as if the mission was completed and so a new challenge was required which saw David take up a position with Swimming New Zealand. 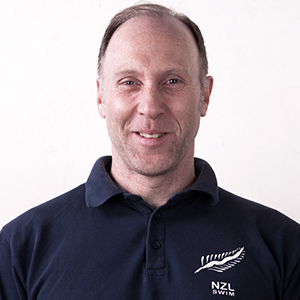 As head coach to the NZ National training centre, David oversaw a transitional period where a number of the most promising youth swimmers moved to Auckland with almost immediate success; several swimmers were selected for the 2014 Junior Pan Pacific Championships, winning 2 medals in the process. At the same time, the more established senior members of the squad continued to progress, breaking over 10 New Zealand national records; not to mention the first World Championship medals in the pool for a generation. As Director of NZL Swim, David’s goal is to help coaches and swimmers improve standards of swimming performance by providing them with the very best in swim coaching. Danyon Loader, ONZM, is New Zealand's most successful swimmer to date. A specialist in Freestyle and Butterfly, he is an Olympic Champion, a former World Record holder and was New Zealand’s first inductee into the International Swimming Hall of Fame, Fort Lauderdale Florida in May 2003. After joining his long-time coach Duncan Laing in 1985 Danyon’s career soon became legendary as he went on to become one of the fastest swimmers in the world in his events. By age 13 he was winning medals in the New Zealand National Age Group Championships and quickly progressed to swimming events at the National Open Championships. At the young age of 14, he represented New Zealand at the 1990 Auckland Commonwealth Games. Only two and a half years later, and still a young 17-year-old, he surprised the world when he won the silver medal in the 200m butterfly behind the World Record holder - USA's Melvin Stewart - at the 1992 Barcelona Olympics In 1993, Danyon set the 200m butterfly short course World Record three times in eight days whilst on the European le of the World Cup Tour. The next year, he won gold in the 200m butterfly, silver in the 400m freestyle and both freestyle relays and bronze in the 200m freestyle, at the 1994 Commonwealth Games in Victoria. Capping this outstanding year off at the World Aquatics Championships later that year, he won silver in the 200 butterfly and bronze in the 200 and 400 freestyle. In 1995, Danyon won eight gold medals on the World Cup circuit in Europe, breaking the 400m freestyle short course world record in the process. This was, however, only the prelude to his outstanding performances at the 1996 Atlanta Olympic Games where he won gold medals in both the 200m and 400m freestyles, an Olympic feat accomplished only once before. He was named Sportsman of the Year three times (1992, 1994 and 1996) at New Zealand’s highest sporting awards, The Halberg Awards dinner. Receiving the coveted Halberg Award - the supreme award selected from the winners of the Sportsman, Sportswoman, Disabled Sportsperson and Team of the Year Award categories – in 1996. In 2000, he was named New Zealand Sportsperson of the Decade (1990s). Along with these awards, Danyon twice received the prestigious Lonsdale Cup from the New Zealand Olympic Committee (1992 and 1996). This is presented to a New Zealand athlete (or team) who has demonstrated the most outstanding contribution to an Olympic or Commonwealth sport during the previous year. Danyon was New Zealand's first swimmer to break World Records in two different strokes, butterfly and freestyle and by the time he retired, he had set a record 58 New Zealand national records and four world records - three in the 200m butterfly and one in the 400m freestyle. The 400m freestyle record stayed for three and a half years until broken by Australian Ian Thorpe. Following his retirement, Danyon has held a variety of positions including stints as coach to several clubs throughout New Zealand; most recently, he was a member of the coaching team leading the National Training Centre in Auckland and helping to prepare swimmers for the 2014 Commonwealth Games, Pan Pacific Championships and World Championships. Danyon’s experiences as an international athlete and his unique views on the teaching, coaching and development of swimmers makes him an ideal consultant on all technical aspects of the sport. As an Olympic ambassador for the NZOC he has continued to inspire athletes and contribute to the development of swimming in New Zealand. He brings a wealth of knowledge, tremendous passion and enthusiasm and leaves a lasting impression on all those who come into contact with him.